In America the popular press talks almost non-stop about: Disasters, politicians, celebrities and Apple. Yes, Apple. Today I watched the live cast of the new Apple product announcements. First, the see things differently video started playing, then the live stream died so I had to turn over to CNET where they were live commenting. 30 years ago the first Macintosh computer with iconic mouse-based graphical user interface, and bit-mapped graphics was announced at the Flint Center. Today we heard about the new iPhone 6 and iPhone 6 Plus, like rumored, in screen sizes at 4.7″ and 5.5″, catching up to the Samsung Galaxy Note introduced in 2011. 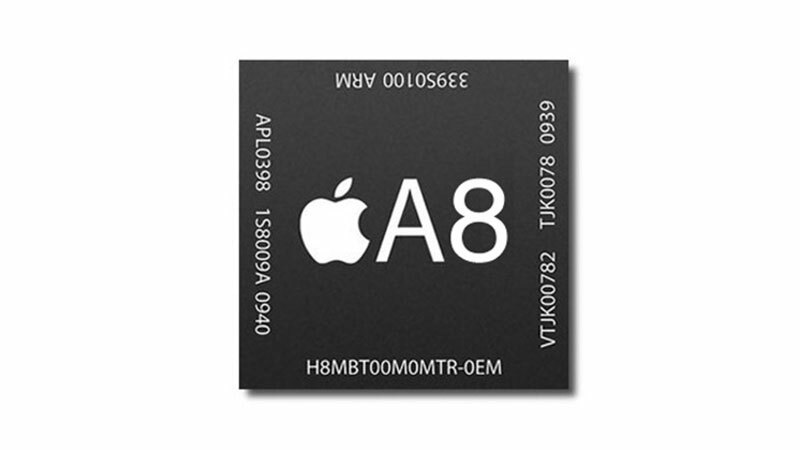 The A8 chip has 2 billion transistors, designed in the 20nm process node, and a 64 bit architecture. The M8 is the new motion chip which allows Apps to measure acceleration, count steps, stairs, altitude and barometric pressure. About 28 minutes into the announcement the Apple Live cast came back to life. Apple fanboys can wait in line on September 19th, or just go online to pre-order on September 12th. On the software side iOS8 comes out on September 17th across most iDevices. Justin Timberlake and Jimmy Fallon did celebrity promo videos for the iPhone 6 and 6+. Next up was how Apple is replacing physical credit cards with a new payment system called Apple Pay, based on Near Field Communication (NFC) technology. Android phones like the Samsung Galaxy S5 already use NFC for secure payments with the Google Wallet app. Expect to see Apply Pay launch next month and in a few dozen big-name retailers. One more thing…. 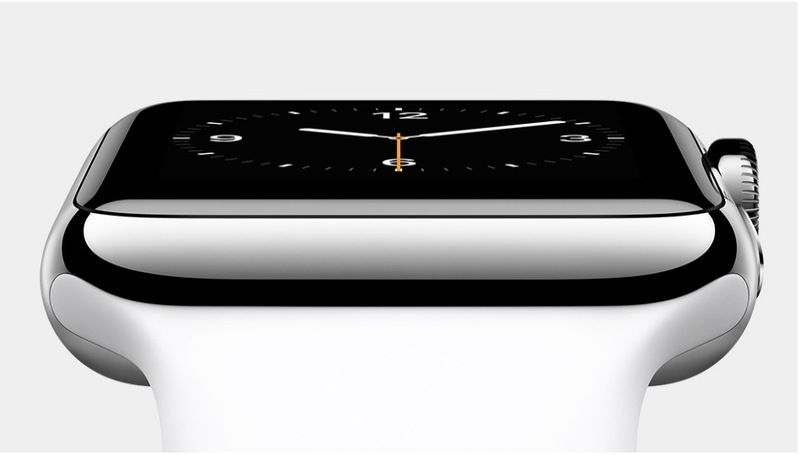 As expected, we heard about the new Apple Watch, drawing a standing ovation from the crowd. 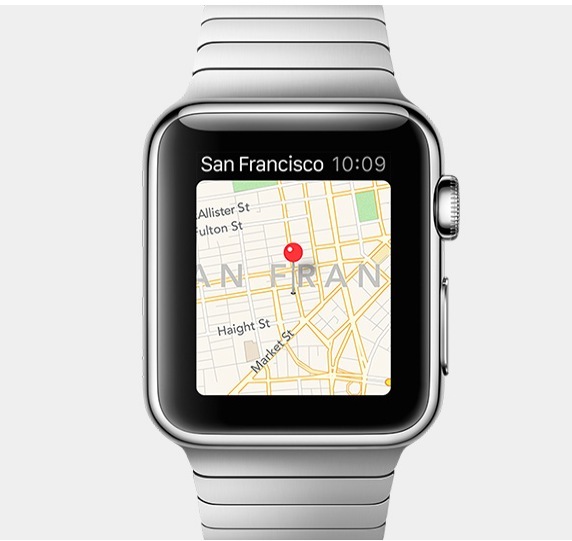 Siri, the voice-response system is built-in to Apple Watch. Charging is required daily for the Apple Watch. This watch will cost you $349, and is available in 2015. The new generation of iPhone 6 and 6+ are a step in the right direction, as Apple finally offers more than one screen size, following on the success of other consumer product competitors like Samsung and HTC. For me, bigger screen size is always better and I’ve been enjoying a 5.5″ display with my Galaxy Note and Note 2 devices for a few years now. 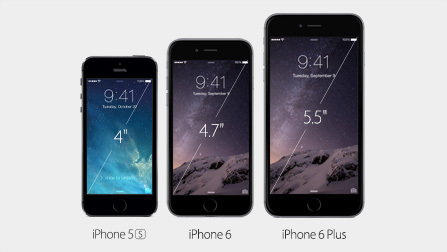 The custom A8 and M8 chips make the iPhone 6 and 6+ possible, continuing the tradition of in-house, ARM-based design. 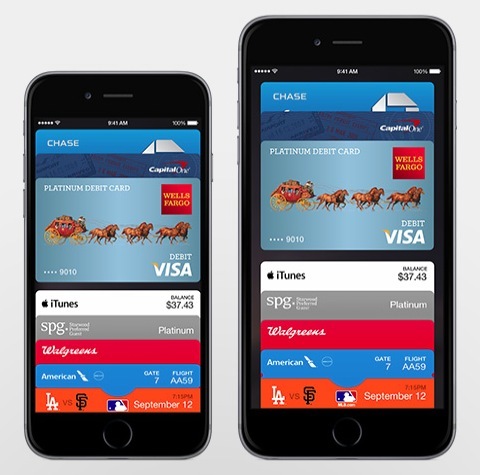 Apple Pay looks to be another promising merge of business deals and NFC technology to make retail purchasing easier. Apple Pay uses fewer keystrokes than Google Wallet on an Android phone to make a purchase, so that’s an improvement. The Apple Watch isn’t first to market, but it certainly has the best marketing launch for a product in the wearable category, and I think that offering two different sizes makes more sense than one-size fits all. The $349 price makes this an instant, high-end, consumer status device. I look forward to learning more about the two custom chips inside of the Apple Watch family. As an Android phone user I am not compelled to buy an Apple Watch, and will continue to use my Cat Eye device to track cycling fitness. Full Disclaimer: I do own shares of AAPL stock and use an iPad Air plus MacBook Pro each day.